In addition to all the other blogs I read, when I have a spare moment at work, I like to stumble over to The Yummy Mummy Club and I comment quite frequently there. I even write the odd article for them now and then. All my commenting got me noticed by one of their contributors, Julie, who writes The Other Side of The Coin. While we don't always agree about everything, we do have a lot in common. We both have Autistic little boys and the same alma mater. We also seem to share a similar sense of humour. So it was cool when she took time out of her and her husband's mini-vacation to invite me for tea so we could actually meet face-to-face. 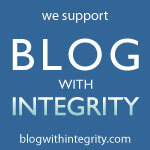 It's not often bloggers get to meet in person - unless you go to a conference like BlogHer. The cool thing about the internet is how it brings people together and I consider many of my online friends to be real friends - but when you actually get to meet for real, it's pretty cool. Or at least it was for me. She was what I expected (imagine if she wasn't? But I'm a pretty good judge of character, I think!). She was down to earth and easy to talk to. There was never a dull or awkward moment. Too bad she doesn't live closer. If you get a chance like this, take it! Next time I'm in her 'hood, I'll for sure stop by and say hi.